Imagine LEGO – but with even more flexibility to create! 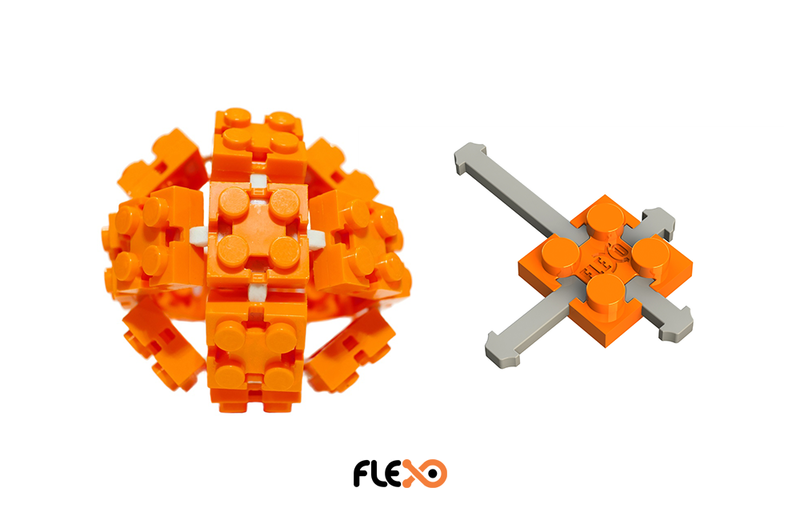 Thanks to a successful Indiegogo campaign, the Flexo System from New Zealand-based Flexo introduces a “flexible tendon” to the toy brick building mix. Compatible with current brick brands, like LEGO and Mega Bloks, Flexo tendons offer a full range of movement from flat to 180-degrees. The tendons come in four sizes of varying lengths. Each tendon attaches into an opening in a specially constructed Flexo brick via a stainless steel tool. Incorporating a series of bricks with locked-in Flexo tendons allows creations to bounce and bend. It’s a new dimension that isn’t currently available with traditional construction bricks. The Flexo System comes in two colors, orange and gray. Pricing starts at $5 USD for the Key Ring Kit up to $473 USD for an Ultimate Pack consisting of 2,000 Flexo Bricks and 6,000 Flexo Tendons. Brik Tiles extend LEGO compatibility to walls, doors, and other objects in your home or office.